Now that I'm working out more (let's be honest, working out at all) I need more clothing. I've never had a lot of workout clothes or been one to just wear them around during the day. So now I need a few staples. I love Luluemon but it is so pricey! I will say I think their stuff fits better than some of the cheaper items. Luluemon Wunder-Under Crop: I used a gift card from Christmas to get these pants and I am in love. Wish I could get them in more colors! By far my favorite work out pants. The other work out pants I have are UnderArmour and Target. 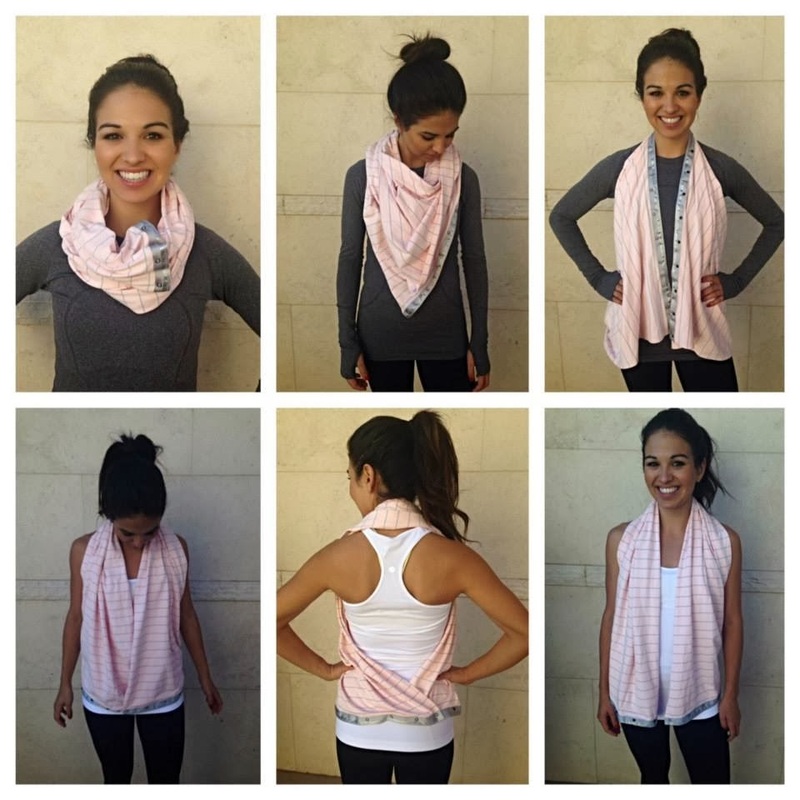 Lululemon Infinity Scarf: I can't find this one their website right now, but have seen it in stores recently. My bestie got me this (in black/stripe) for my birthday and I love it. Sooo soft and perfect to wear to and from the gym in this chilly weather. Old Navy Compression Tank: I love that this tank is loose. I can't do tight work out tanks...I just don't have the body/abs! So this one is perfect for me. 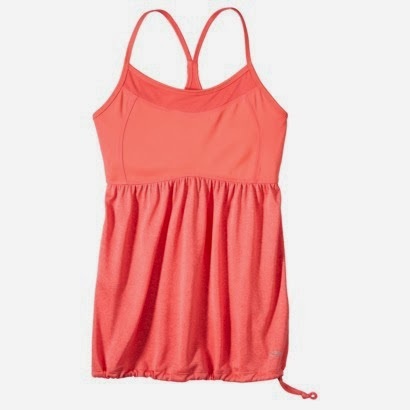 Target C9 Fit and Flare Tank: These are on sale right now! I got two yesterday, each under $10. Great deal for a work out tank. Again, I like them because they are loose. Anybody have any other suggestions for work out clothes I "need"?? Lululemon pants are amazing. I cherish mine! But it is so nice to find cheap tops! I have a similar scarf like that by Karma and every time I button it up all creative I can never recreate it! These tights by Athleta are my new favorite obsessions. I have got to try Lululemon. I probably should start working out first though! That infinity scarf is awesome! Target always has great workout attire. I haven't been able to bring myself to splurge on anything Lululemon yet...I have tried on the Wunder Unders though and really liked them! Another good place to find workout clothes is TJ Maxx and Marshall's! 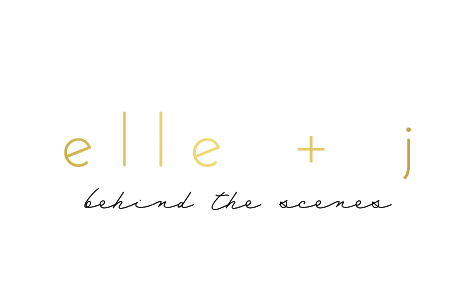 Just found your cute blog- can't wait to read more! Very nice post. I just stumbled upon your weblog and wished to say that I have truly enjoyed surfing around your blog posts. After all I’ll be subscribing to your rss feed and I hope you write again soon! Men’s Amazon Fashion Haul: Spring Edition! i'm going to be an aunt!